KARA MEGA DEALS AND BLACK FRIDAY IN NIGERIA: ENJOY YAKATA FALL IN PRICES. Black Friday – the annual retail shopping bonanza in Nigeria, falls on Friday November 25th this year – and we’ve got all the products to help you secure a brilliant Nigerian-style deal, without actually leaving the sofa. The shopping bonanza during this period comes with mouthwatering deals and almost all the selling price of products fall to almost 30% discounts. Kara Nigeria sells quality products from top brands such as Sumec Firman, Honda, Tecno, Infinix, Apple, HP, Lenovo, LG, Panasonic, Haier Thermocool, Scanfrost,Sukam, Mercury, Prag, Midea and many more. Below is what Kara Nigeria Mega Deals shoppers can expect this year. 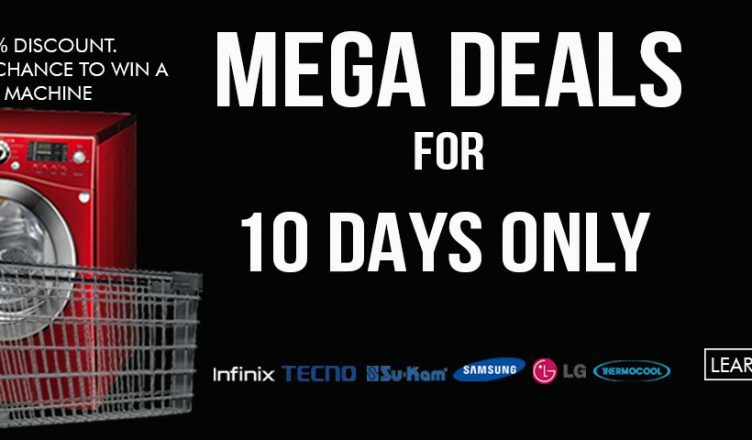 10 days of Mega deals promotional sales. Discounted prices in all categories including:, Mobile Phones, Electronics, Computers, Inverter, Generator, Solar Power solution, Refrigerator, Washing Machine, Air conditioner, Home and Kitchen Appliances. An online giveaway for customers. Lucky customers who spend 20,000 Naira and above will win a gift and /or free voucher ticket. Kara Nigeria would not disappoint customers in the areas of excellent customer service and fast delivery to your location in Nigeria. Samsung Galaxy S8: The face saving Game changer?